A bad witch's blog: What Does Your Christmas Tree Say About You? At the weekend I put up the little tree you can see to the left. It is a real tree with roots and is in a pot of earth so hopefully I will be able to plant it out after Christmas. I know it is small, but it will hopefully be a bit bigger next year. This year it’s estimated that about 10.6 million Christmas trees - both real and artificial - will be sold in the UK. In our grandparents' time, trees were usually put up on Christmas Eve or the weekend before Christmas, but nowadays the majority are put up in the first week - if not the first weekend - in December. Times and traditions change, which is fine. Fashions for trees change too, and nowadays people tend to get a tree to suit their own personal styles and tastes. She put together a list of what the Christmas trees we choose say about us. With abundant dark green foliage and often decorated in traditional red, green and gold, Jodie said that the "natural wholesome Christmas tree" represents family values and the generous spirit of Christmas. This tree is the heart of the home and is a timeless classic. Many of the decorations will hold great sentimental value to the owner, evoking memories of family days gone by. Decorating the tree is usually an annual family affair with great value placed on input from family members, both young and old. This tree owner loves Christmas tradition and thrives on the chaos associated with the festive season. Christmas allows them to shine as brightly as the star on top of their tree. With their exceptional organisational skills, they produce superb Christmas fare, enough to feed an army, all executed with military precision of course. Their natural warmth and flair for entertaining comes to the fore at Christmas time. Christmas is an all-round sensory experience for the person who likes a snow-dusted Christmas creation inspiring thoughts of cosy log cabins, snow-covered slopes and the aroma of pine cones burning on an open fire. The ‘alpinist tree’ owner loves the great outdoors and seeks to recreate that indoors. They dream of spending the festive season skiing across glistening snow-covered slopes before returning to their luxurious ski chalet with cheeks aglow. Wearing a chunky jumper and sinking into the sofa while sipping on mulled wine and feasting on roasted chestnuts with their loved ones gathered all around is their idea of heaven. A tall, slim, striking ice-white Christmas tree makes a bold statement. Like their owners, these trees display design confidence with their modern take on the festive season. 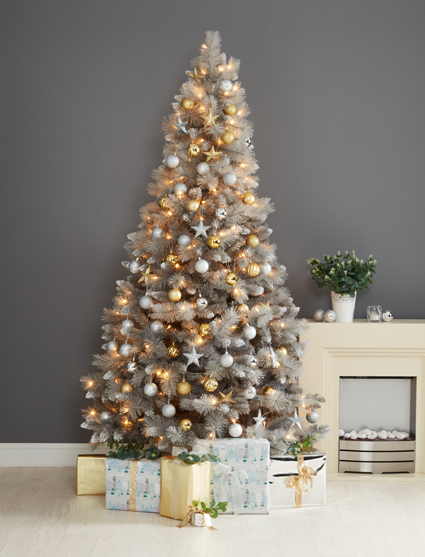 A pure white tree makes for a stunning centrepiece at any Christmas party and these trees are ideally suited to someone who will also be the star of the show. Christmas party people are vibrant and fun loving, especially around the festive season and this tree expresses their spirit. But be warned, do not attempt to offer any decor advice! ‘Party people tree lovers’ are possessive about their trees and decorating rights. Baubles are usually colour co-ordinated and precision in placement is key to the creation of this masterpiece. Jodie said: "White Christmas trees are very much on trend, appealing mostly to a younger generation setting up home for the first time." 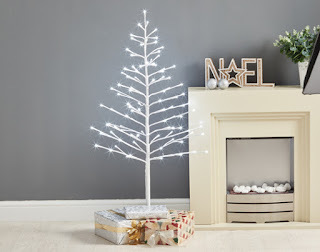 The most understated yet stylish tree belongs to the minimalists. Like their owners, their appearance is elegant, streamlined and super-sleek. There is no clutter and chaos associated with the high-gloss experience of a minimalist Christmas. The minimalist tree will typically be found in an uber-cool urban apartment. Christmas is a chic monochromatic affair run with clockwork efficiency and the simplicity representative of the smooth running and fuss-free existence of the ‘minimalist tree’ lover. Christmas dinner might comprise a sophisticated tray of sushi rather than a traditional Christmas turkey with all its trimmings and paraphernalia. 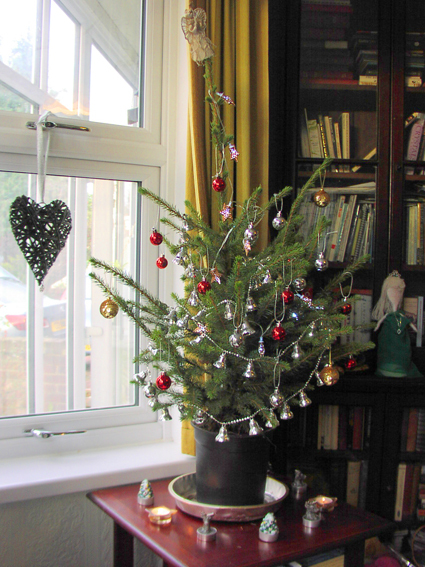 The ‘minimalist Christmas tree’ deliberately lacks any adornment with not a bauble in sight! This tree is all about restraint in design. 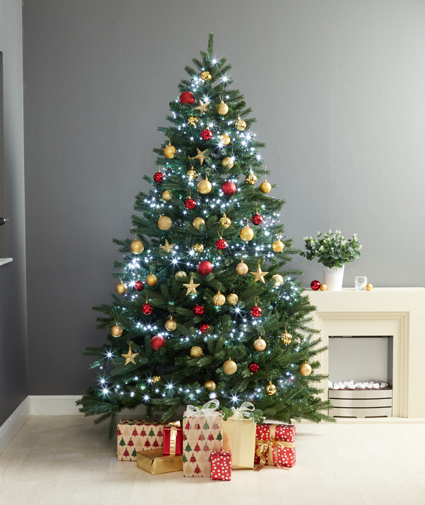 This tree is also favoured by people with very little time on their hands to spend decorating and those who might be going away over Christmas but want to demonstrate their Christmas spirit.